Police believe the body of a man discovered washed up on an Isle of Man beach is unlikely to be that of a missing south of Scotland pensioner. Gavin Tait, 74, has not been seen since last month, when he bought goods from a shop near his home in Wigtown. Officers confirmed on Tuesday that they were liaising with officers on the Isle of Man following the discovery of a body last week. However they now believe it is not Mr Tait and a search is continuing. Police divers were involved in the operation around Wigtown on Wednesday. In a statement published on social media, Ch Insp Bryan Lee renewed an appeal for help in tracing the missing pension, who has been described as reclusive. And he thanked the Wigtown community for their support for the search operation. He said: "There has been some reporting that he may well have been the body that washed up on the Isle of Man. I can report that is unlikely to be the case. "Efforts are ongoing and a number of searches are being conducted and officers from Police Scotland and also Galloway Mountain Rescue, and a special thanks to them." Officers are investigating a sighting of Mr Tait at 19:30 on 15 March, on the B733 between Wigtown and Kirkcowan. "We are appealing to any individuals who have drove that road who may well have dash-cam footage," said Ch Insp Lee. "We are looking to see if we can obtain that footage from yourselves and allow it to be checked. If that is the case we would ask you to make contact with Police Scotland. "In addition I would just like to thank members of the public in and around Wigtown for their continual support in efforts to trace Mr Tait. "A number of statements have been obtained from them in support of that but unfortunately he is still missing and efforts are ongoing to trace him. "Any information you have with regards to Mr Tait would be very much appreciated." 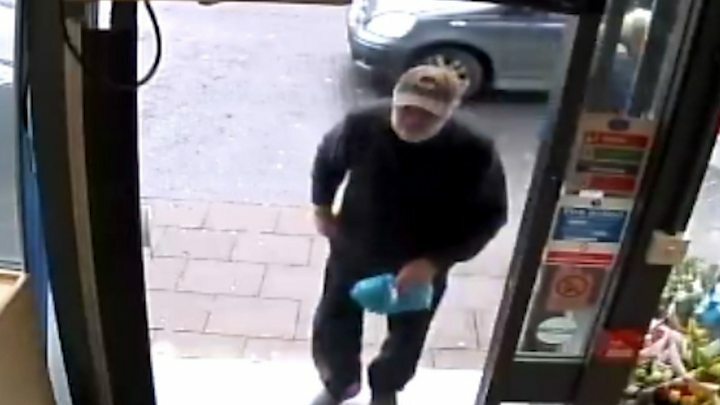 Last week officers released CCTV of Mr Tait's last-known movements in a local shop on Thursday 14 March.